After nearly 2 weeks of work together Randal headed back for Virginia early this morning. We have managed almost the whole "to do list" with installation of a new exhaustelbow and a new fuel polish system being the major jobs performed. Engines have been serviced and loads of smaller things taken care of hopefully making Dora Mac ready for the next season and the North Atlantic bound for Scandinavia. 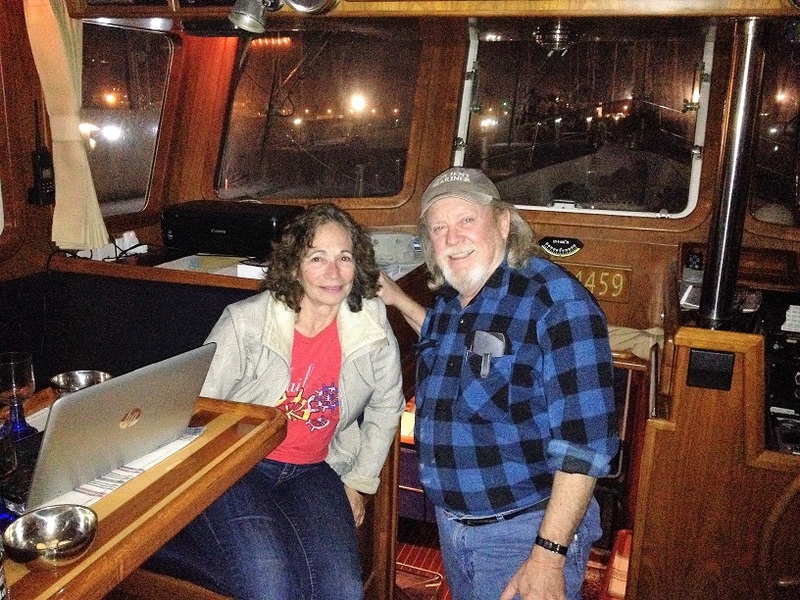 As mentioned before words is not enough to express gratitude but without Randal with all his expertise and knowledge on these boats, Dora Mac would not have been ready to go to sea. On the picture is also U.S compatriot Wendy Kravit.